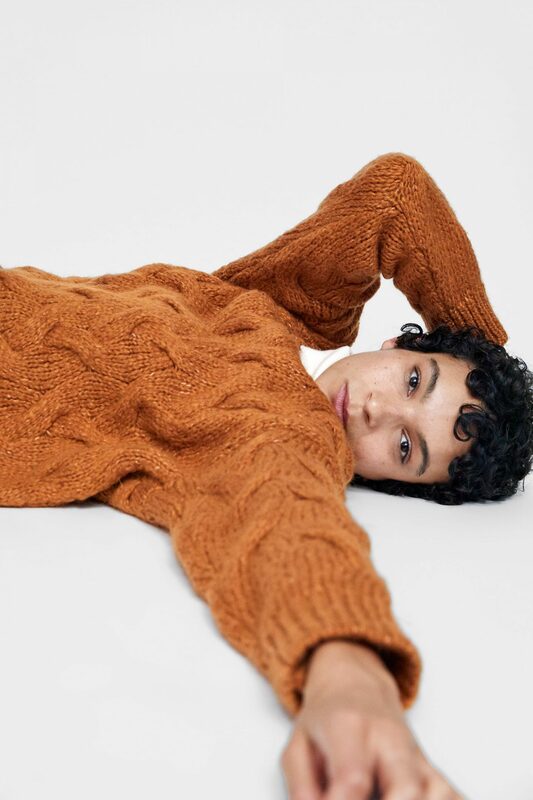 Waking up to these chilly mornings can only mean one thing…it’s knitwear time! 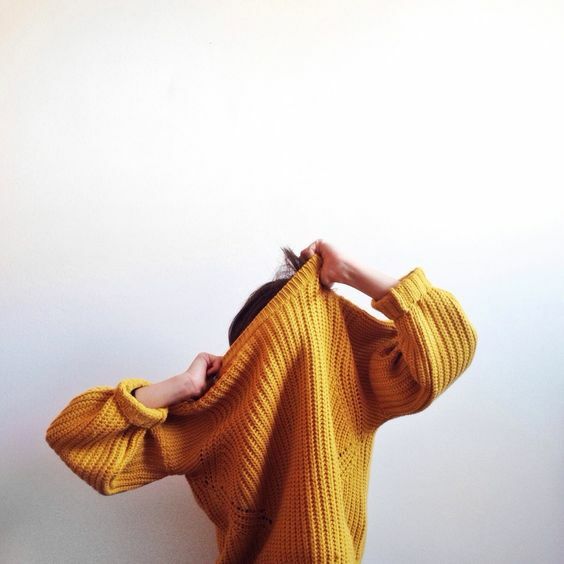 I love a big chunky knit jumper; throw them on for the nursery run, dress them up with a midi skirt or layer them under your Mum uniform dungarees. They’re great for hiding a baby bump or flattering a mum-tum. 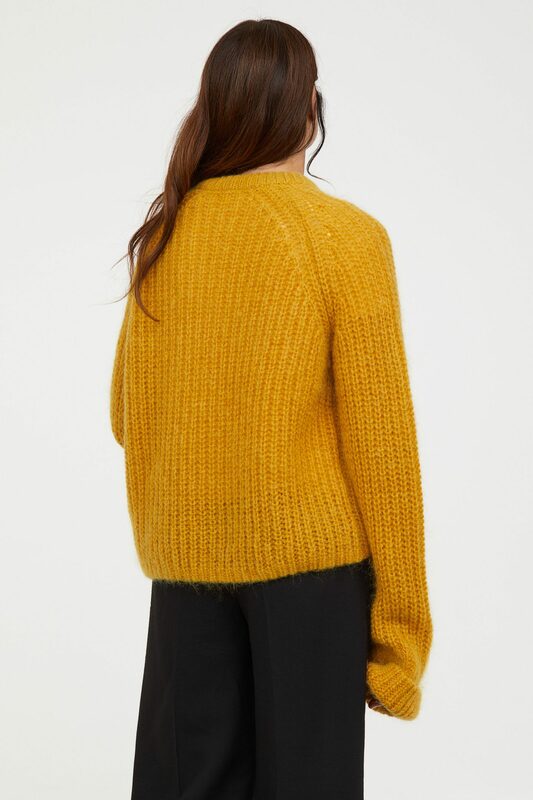 But this winter there’s one colour that really stands out and that’s ochre. 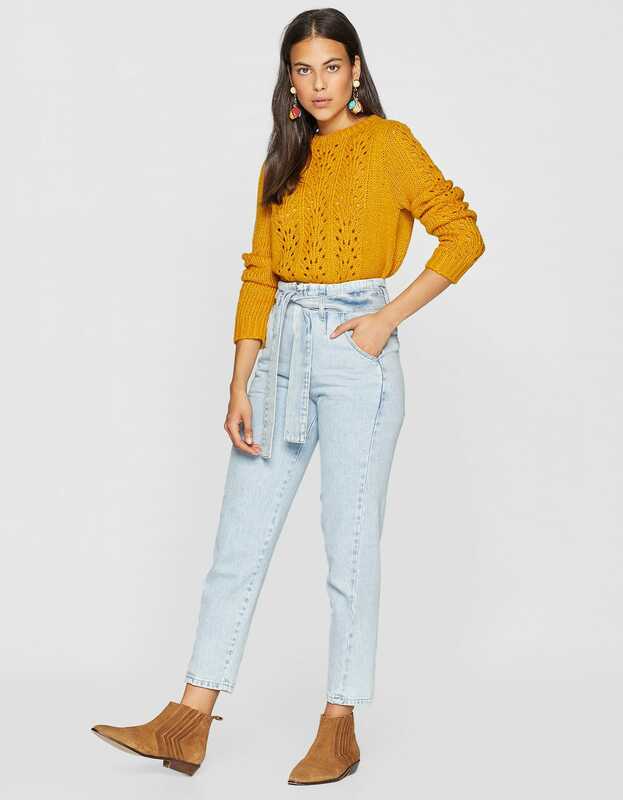 The warm mustardy tone flatters nearly all skin tones and adds an injection of colour to your wardrobe when you may not exactly be feeling bright and chippy following a bad night with the baby. There are loads of shades on the yellow, rusty, mustard, terracotta scale so finding one that suits you shouldn’t be too tricky. 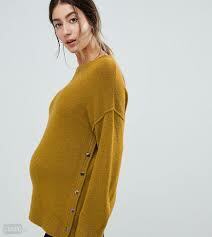 Chunky knits can be great if you don’t want to buy many ‘maternity’ items. You can easily buy up one or two sizes to fit in your bump. 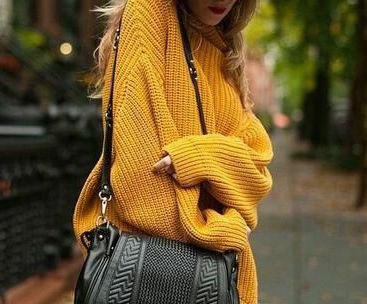 You’ll find if you’re due in the colder months too then a chunky knit over a nursing vest is an easy breastfeeding solution.